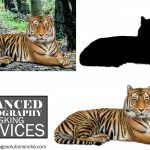 Digital Photoshop Masking to Cutout Difficult Backgrounds from Images – Image Editing Services to UK, USA, Norway, Canada, New Zealand, Poland Etc. 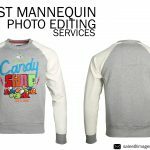 Digital Photoshop Masking Services - Advanced Photoshop Masking Technique To Eliminate Complex Images with Hair From Difficult Backgrounds. In the fast-moving world, technology growth made a tremendous change in all kinds of business. In the graphic design world advent of advanced image editing software find a way to decorate the photographic world digitally in accordance with our wish. Mask out the Images from its backdrop which will create a digital eye-catching image of the advanced tool, Adobe Photoshop. 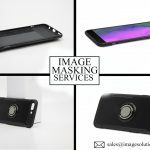 Image Solutions India one of the leading image editing services Providing Company with worldwide pride to present the Digital Photoshop Masking Services to meet our clients’ needs. 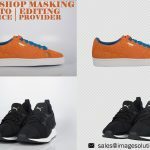 Image Masking is one of the most common image editing techniques that all creative designers are eager to work with it. For the beginners, it is the somewhat difficult method to understand as well as work with it. But in practice, it will obviously interesting. 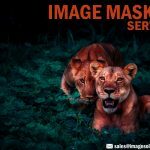 Digital Photoshop Masking to Eliminate Complex Imaging Elements using Different Masking Techniques in Photoshop. This method is somewhat similar to the image clipping path. The main difference is it also suites to the images without shape or irregular images, for which it is difficult to create the path around it. Likewise the clipping path method, it will hand over a perfect picture edition. The advanced tools like Eraser Tool, The Background Eraser Tool, The Magic Wand Tool, The Magic Eraser Tool, The Quick Selection Tool in the Adobe Photoshop, the best image editing software you make mask any kind of picture quite easily. Digital Photoshop making to isolate difficult background images. According to the type of masking the image will edit perfectly. Making use of the quick mask you may finish your masking task very quickly at the same time effectively. And the layer masking is used to control the transparency of the layer separately. Our experienced and talented graphic designers analyze the image status and in accordance with that, they start editing the images. Getting the grip with features and characteristics of image editing tools our designers will finish the editing work within a short period of time.